You’ve made it home with your baby all cuddled up in your arms, and you’re physically and mentally exhausted – it is then that you realize you forgot to buy a nursing pillow or didn’t even think of buying a humidifier! Not to worry, we’ll save you a midnight run for those things with the help of moms using our mom.life app. Below is their list of all the products they absolutely could not live without in the first year. Why: Avoid bumping into things late at night on your many trips to baby’s room. Why: It’s a way to carry baby close, but your hands are free as you go about your day together. Why: Baby’s are bound to get sick, so this is an important piece of your medical arsenal from day one to monitor their temperature. Why: Removing mucous build-up from baby’s nose (or that random popcorn kernel from your toddler’s nose) is sometimes necessary – these nasal aspirators will be a lifesaver. Why: The stroller and infant seat combo allows you the ability to move from car to stroller without taking baby out of their seat, which is key when they’ve fallen asleep right as you arrive at your destination. Why: This pacifier pal is one that moms are swearing by because it helps keep that binky in baby’s mouth so they are soothed and you are sane. 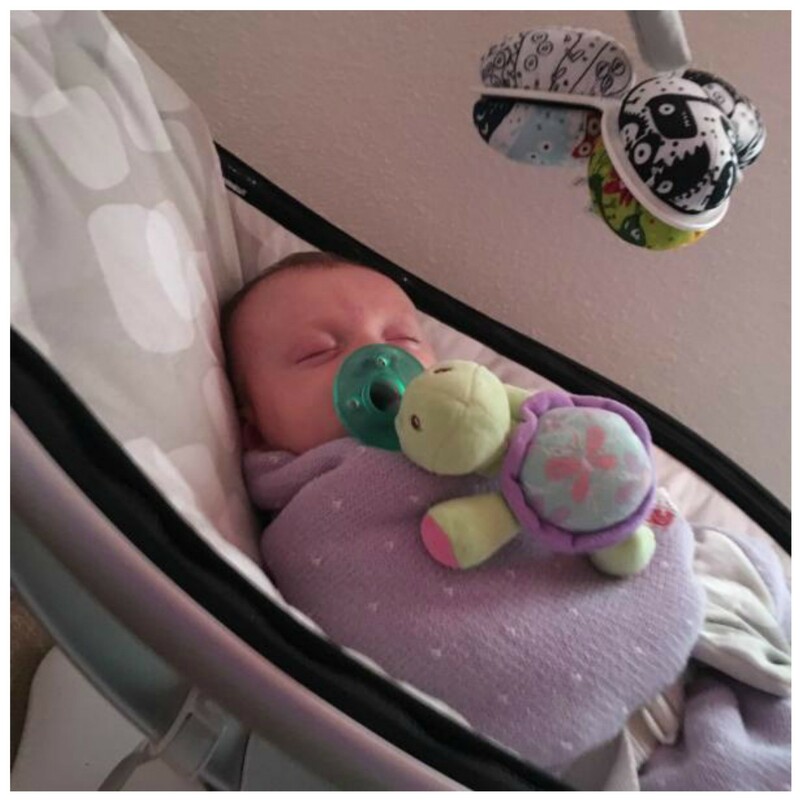 Image of adorable baby with her WubbaNub, nestled in her MamaRoo via @abbydi – meet more moms like her, share your ideas and photos in our social media mom.life app! Why: It alleviates the need to hold baby up through your nursing session keeping your arms from tiring out and baby more comfortable. Why: This is a necessary tool to break up congestion and ease breathing when baby is sick. Why: A safe place for baby to sit and be soothed is essential when you have a fussy baby or multiple kids underfoot. Why: The ability to pump milk into bottles will allow you more flexibility with feeding time. You can be gone for a longer period of time and Dad can join in on the feeding fun. Why: A formula machine used to streamline the formula bottle making process is a win in our book. The company also offers a baby food maker and sterilizing machine. Why: Having a dual purpose solution that works for regulating baby’s temperature and drowning out noises in the home will be a sanity saver in the long run and allow baby (and you!) better sleep. Why: Baby’s love the secure feeling of a swaddle and this blanket swaddles baby safely and securely everytime, ensuring they get better sleep. Why: If you plan to travel in the first few years, you’ll need a portable sleeping, playing and changing space. Pack ‘n Plays are also great solution for baby sleep and play for around the home if you have multi-levels. 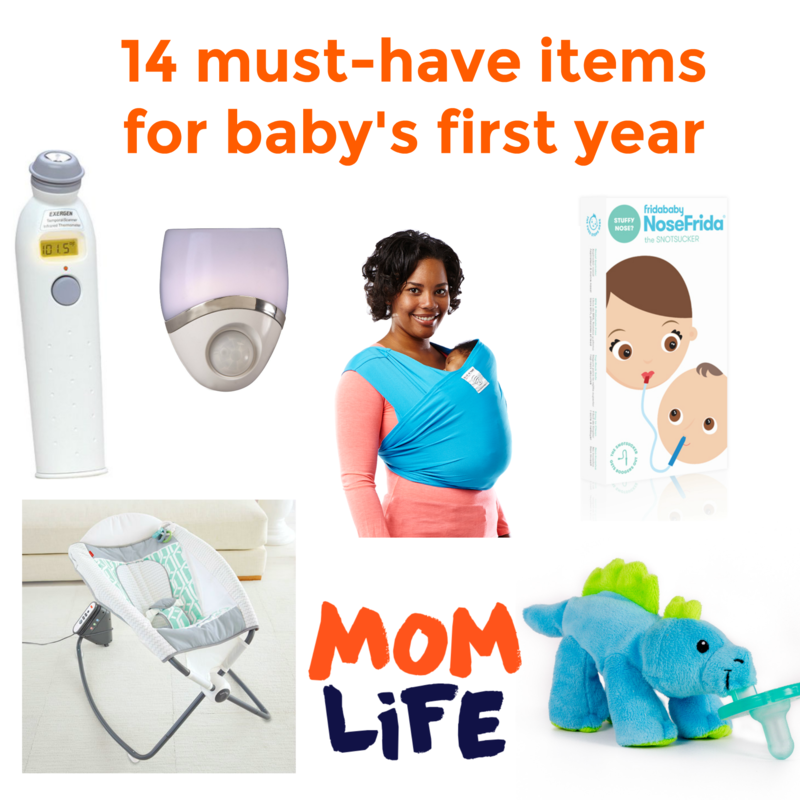 What are your must-have baby items? Download the mom.life app, share your thoughts and discover new must-have products while making new friends!